Bus to Linfield tomorrow leaves MVP at 1.45pm and Moira at 2.00pm. Members are reminded that you need a ticket for the game. These can be purchased in the club office this morning 9.30am to 12 noon and the club shop tonight from 7.00pm to 8.30pm. NO TICKET, NO ADMISSION. Glenavon are home again tomorrow to Portadown ko 3.00pm. Clubroom open from 1.45pm. Find the Joker jackpot £400. Members travelling to Linfield next Saturday should get their match ticket from the club shop before or after tomorrow’s game. 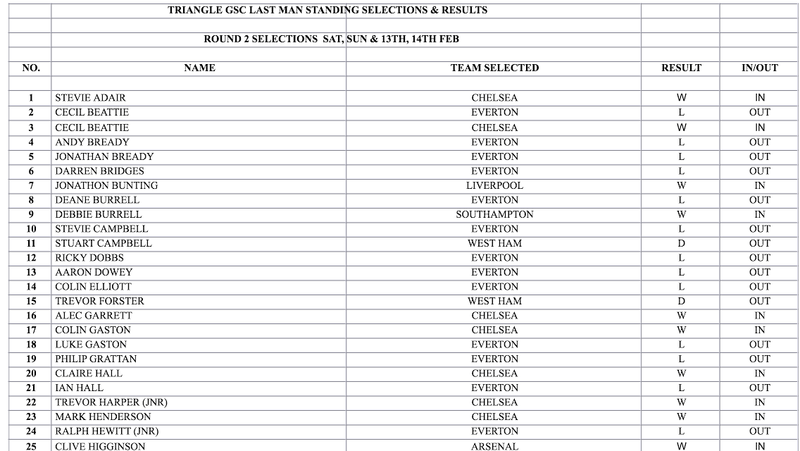 TRIANGLE GLENAVON LAST MAN STANDING UPDATE. AFTER ROUND 2. 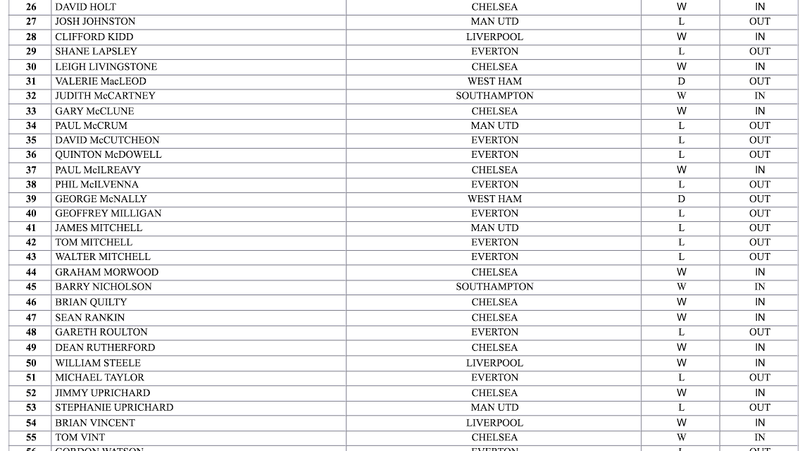 THERE WERE 34 FALLERS LEAVING 25 STILL IN THE COMPETITION! CAN THOSE STILL OWING MONEY PAY IT ASAP PLEASE! 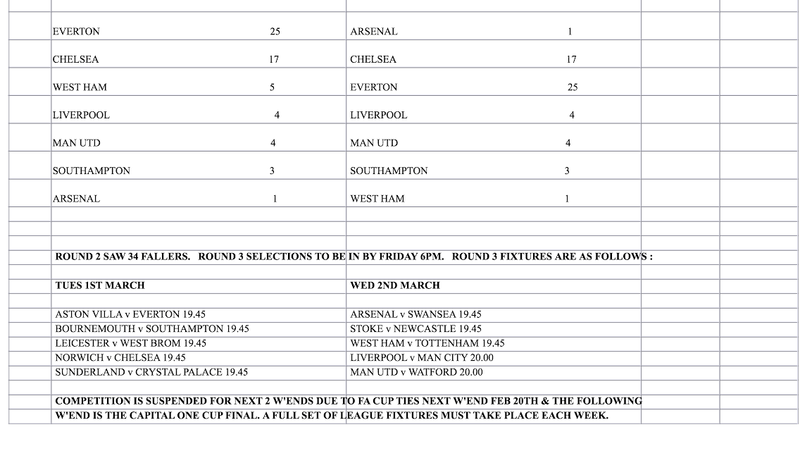 THE COMPETITION TAKES A BREAK FOR THE NEXT 2 WEEKS DUE TO FA CUP NEXT W’END AND THE CAPITAL ONE CUP FINAL THE FOLLOWING W’END. REMEMBER THOSE OF YOU STILL IN THE COMPETITION YOU CAN ONLY USE EACH TEAM ONCE THROUGHOUT. 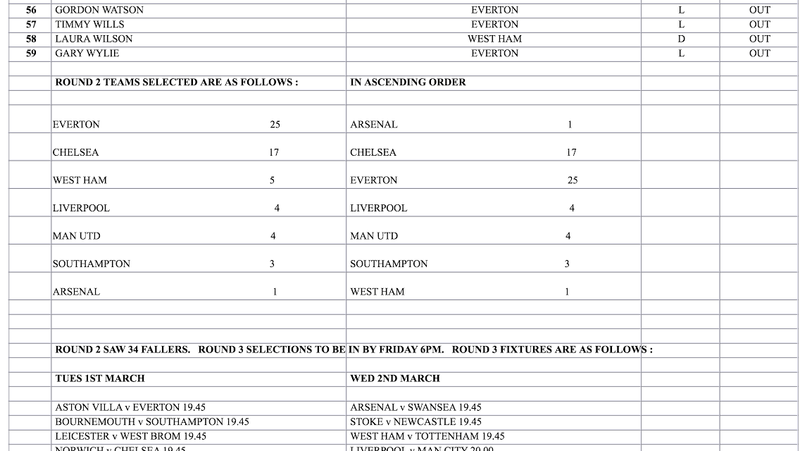 TEAM SELECTIONS TO BE IN BY 6PM ON MONDAY 29TH FEB, THANK YOU. Glenavon play their recently postponed game v Glentoran tomorrow night KO 7.45pm. Clubroom opens 6.45pm. Find the Joker jackpot £380. Anyone wishing to sit in the Crescent Stand this coming Saturday at the Portadown game must buy a ticket (limited to 200). These will be on sale from tomorrow evening. No ticket required for all other areas. Bus to Crusaders this Friday night leaves MVP at 6.30pm and Moira at 6.45pm. Clubroom will be open on our return. You are currently browsing the Glenavon Triangle Supporters' Club blog archives for February, 2016.